Whenever I watch the GBBO I always get the overwhelming need to bake...who am I kidding, I always have the overwhelming need to bake! 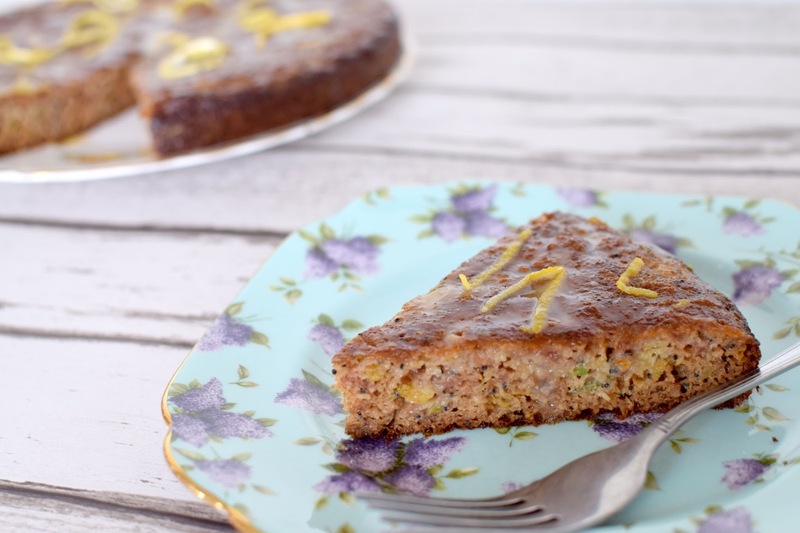 I've loved experimenting with making cakes and bakes that are refined sugar free, which is just what this one is, it's also gluten and grain free! I really love lemon cakes and this one is super yummy, especially with the glaze. 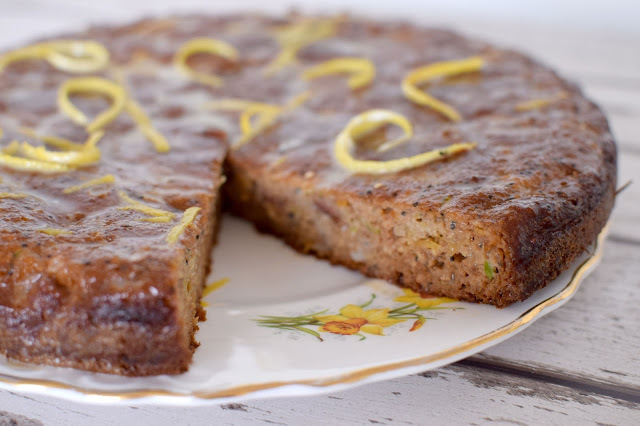 I did make my boyfriend try the cake before telling him it had courgettes in, although obviously you can't taste them so he was none the wiser! 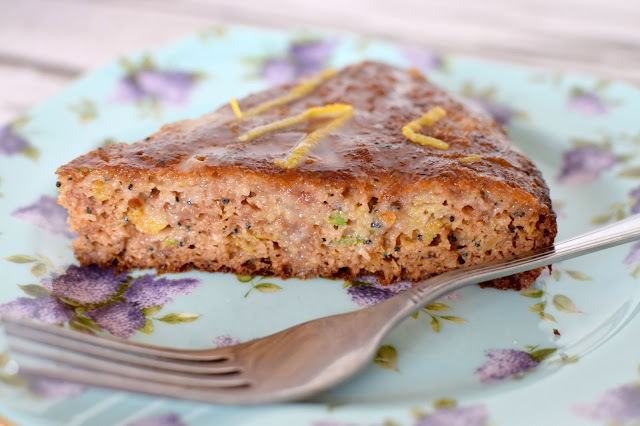 This cake is super easy, fuss free and still tasty for a healthy option! 1. Pre heat the oven to 180 degrees C. Grease and line a 9 inch spring form cake tin. 2. In one bowl, combine the ground almonds, coconut flour and bicarbonate of soda. 3. In a separate bowl combine honey, eggs and apple puree. Melt the coconut oil and pour into the egg mixture in a slow drizzle while mixing well. 4. Grate the courgette and squeeze out as much liquid as you can, using a clean tea towel or your hands. 5. Add the wet ingredients to the dry, and fold in the courgette, lemon zest and poppy seeds. 6. Pour into the prepared pan, smooth the surface and bake for 20-25 minutes. The cake should be golden brown and just firm to the touch. A tooth pick inserted into the centre should come out clean. 7. Leave the cake to cool completely before adding the glaze. 9. Prick the cake all over with a tooth pick, then spoon the glaze over so it covers the top of the cake and runs down the sides. 10. Sprinkle with lemon zest and poppy seeds. Eat!